Sanjiv Chattopadhyay is a prominent Bengali writer who is well-known to Bengali readers for his humorous writing. The author is one of the most reliable and simple commentators of the most contradictory and hypocrisy of Bengali middle class life. There are humor is mixed with intense mockery and quizzes in his writings. He wrote a lot of novels, short stories and articles. His creations are also very popular among children as 'Ruku Suku'. 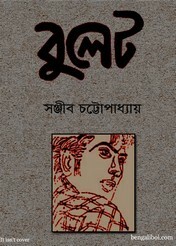 His most famous novel 'Lotakambal' which was publish continuously in the 'Desh' Patrika. And you can get the above said excellent story book of his written- 'Bullet' in pdf file from link below.